Join us for our Miami Art Week reception featuring exhibiting artists Bethany Collins, Michael Loveland and Jibade-Khalil Huffman. Free and open to the public. Complimentary refreshments will be provided. Join Locust Projects for a day-long performance of “America: A Hymnal” on December 6, 2018 as part of Bethany Collins’ solo exhibition, "The Litany". All 100 versions of "My Country 'Tis of Thee" will be sung by volunteers and small choirs continuously throughout the day. 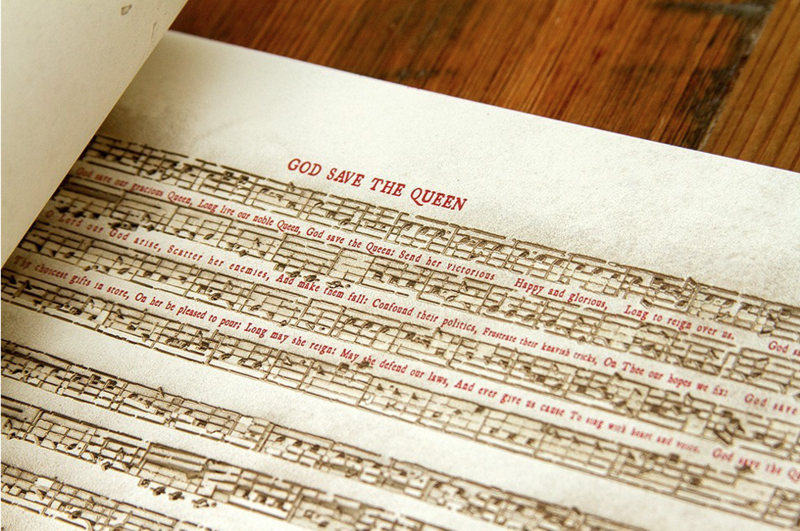 In its many lyrical variations, “America: A Hymnal” presents a chronological retelling of American history, politics and culture through one song. Visitors are invited to come and go quietly throughout the day of the performance, which will take place between 10 am to 5 pm on Thursday, December 6. This exhibition has received support from the Foundation for Contemporary Arts Emergency Grant. 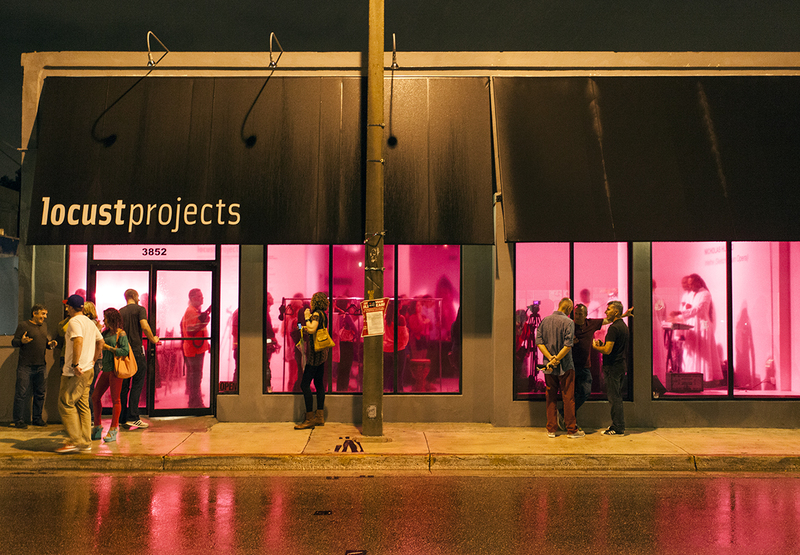 For the past 12 months, Locust Projects and the BLCK family have embarked on a collaboration producing performance arts projects with the intention of creating space for inclusion in institutional arts spaces. This partnership @ Untitled will stage a performance tryptic featuring dance, language and music. 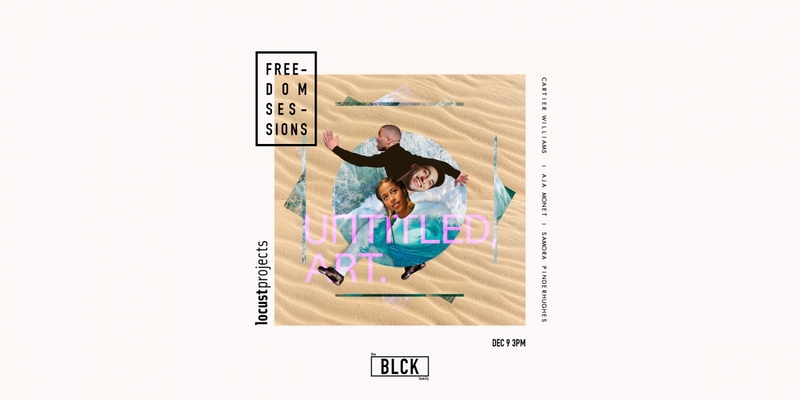 Using the Visual, Auditory and Emotive of the Ocean as a foundation, the BLCK family in partnership with Locust Projects will produce a performance piece in collaboration with Tap Dancer Cartier Williams, Poet Aja Monet and Pianist Samora Pinderhughes. Physically, The elements will exist in a detached formation, challenging the viewers attention to each segment while reframing the narrative around collaboration. In proper celebratory form, as this is the closing program for the fair, the performance will be followed by Miami based DJ, Spinelli. Dancing, sweating, electric sliding encouraged.